In several countries, the initiative to stop food and water to the animals of the street has been organizing different societies of animals because there are plenty of pets that live near parks or shopping malls that were abandoned. 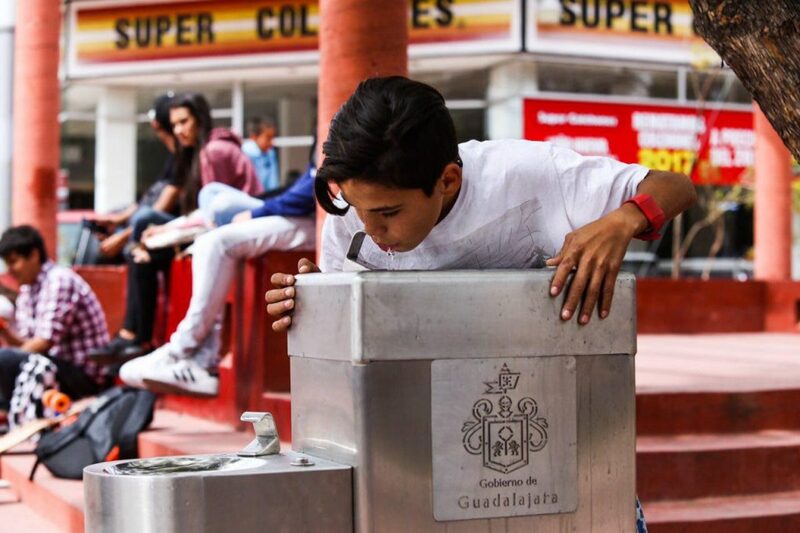 The authorities of Guadalajara–Mexico have announced the opening of new drinking fountains to the public that may be used by people and also animals. For this project we counted with an investment of 2.9 billion pesos that is more or less 4.624 million suns and posted a total of 75 drinking fountains. The installation of all this infrastructure will finish in its entirety in the month of April, it should be noted that the new fountains have filtration systems and purification of water to not get any bacteria that may remain in the pipes and tubes facilities. This initiative is within the national health program against obesity and the national agreement for Health Food of the Government of Guadalajara. The sprues are already in operation since last February 19 and it has a great acceptance on the part of the people and the pets. In Peru, there are still no such initiatives by the Government to be able to give food and drink to pets that were abandoned by their owners or born on the streets. However, there are associations of protective animals that use their time and dedication in to leave plates with croquettes and plastic containers with water, in addition to these organizations do campaigns of adoption to get them a home to animals without owners. Without a doubt, these drinkers could have a positive impact and beneficial in our country due to the heat wave that we are living in this summer and that the most affected would be the animals because they have a thicker skin than humans.